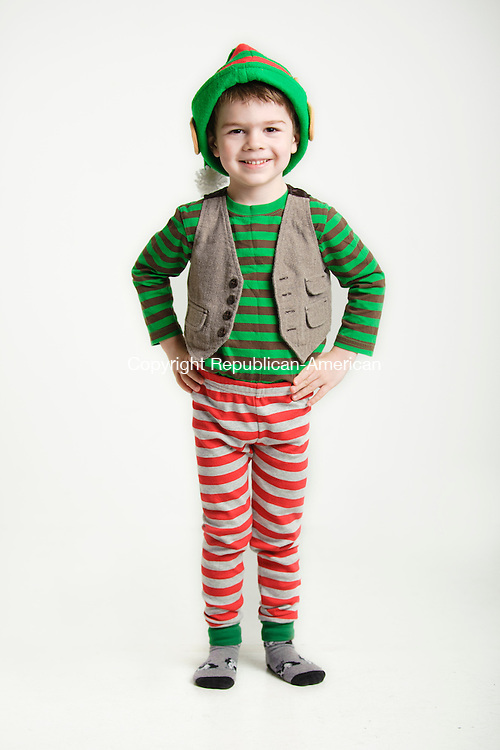 OAKVILLE, CT - 30 November 2012-113012EC02-- Christmas Kid: Gavin Worth of Oakville is dressed as an elf. The 3 year old is asking Santa to give him trucks for Christmas. Erin Covey Republican-American.